When the feminist screeches about the war on women, she gets moans and gowns, when he is finished and denies there is a war on women, he gets approvals and applause...from men and...women. The feminist BS about war on women is getting old and idiotic, using it for political advancements no longer works. People are now seeing it for what it is, BS. 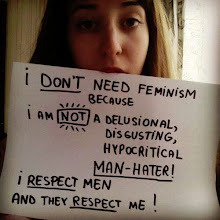 Everyone knows that this "war on women" crap is just a cover for the real "War on Men."